Image: Rizic_pic/Getty Images. Design: Ashley Britton/SheKnows. 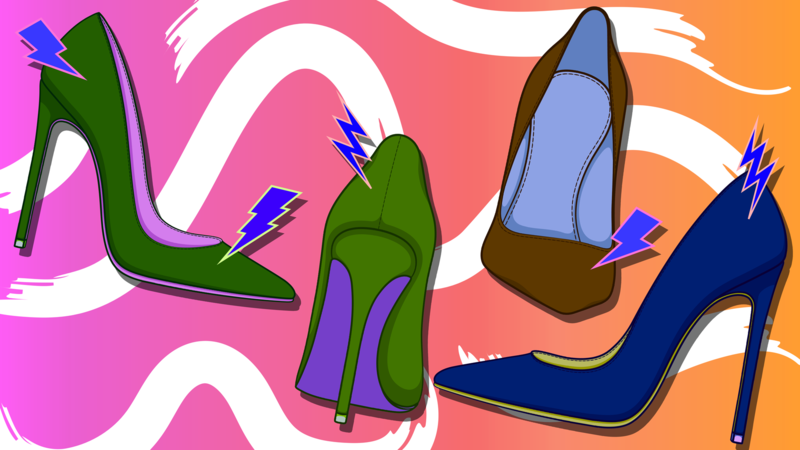 Whether you wear running shoes that are too tight or you like to dress up your favorite jeans with a pair of heels that hug your feet in all the wrong places, chances are, you know when a blister is brewing. At first glance, these tiny fluid-filled bubbles look relatively harmless. But after a few minutes of rubbing against your shoes, you’ll definitely wonder how to get rid of these gross annoyances. In general, blisters occur due to friction and rubbing, Dr. Jackie Sutera, a surgically trained doctor of podiatric medicine, tells SheKnows. “Blisters are fluid buildups under the most superficial layers of skin that can form in areas of motion, such as joints,” she explains. She says they typically form near bony prominences that make contact with the shoe while running or walking. “That friction causes the layers of the skin to pull apart and form a little bubble, which in turn, fills with fluid,” Sutera adds. Excessive moisture like sweating can also encourage blister formation as well as shoes that are new, too tight or even too big. The best way to deal with blisters is to prevent them from happening in the first place, right? Well, sometimes that’s easier said than done. But if you want to give your feet a fighting chance, follow these expert tips to prevent blisters. Your first line of defense is wearing shoes that fit properly. Running shoes should have about a half-inch from the longest toe to the front of the shoe, board-certified dermatologist Dr. Tsippora Shainhouse tells SheKnows. If they are too small, your toes will hit the front of the shoe. “If they are too big, your heel will lift out and rub on the back of the shoe, causing a blister,” Shainhouse says. She also recommends round- or square-toe boxes since they allow your toes to have room to spread and move. It's not just the size of the shoe that matters — it's also the fabric. Sutera recommends choosing shoes that have natural fabrics rather than hard or stiff synthetics. Shainhouse agrees and says to stick with shoes made of breathable material, such as leather and canvas, and stay away from plastic, nylon or rubber. This is a trick runners swear by that might also work for your casual shoes. “The key is not to wear the same shoes two days in a row,” Shainhouse explains. This will help prevent friction in the same areas. If you’re dealing with blisters, you need to ditch the cotton socks since they stay wet, and wet fabric can rub and create blisters. Instead of cotton, Shainhouse says to wear breathable synthetic socks, such as nylon and polyester, or wool-blend socks to wick away wetness. For those cute summer flats, try a pair of no-show liner socks to prevent the constant rubbing of your toes. Sutera recommends using foot powder on your feet to help absorb sweat and moisture. You can also use talcum or baby powder. Luckily, we're not on our own when it comes to blister prevention. 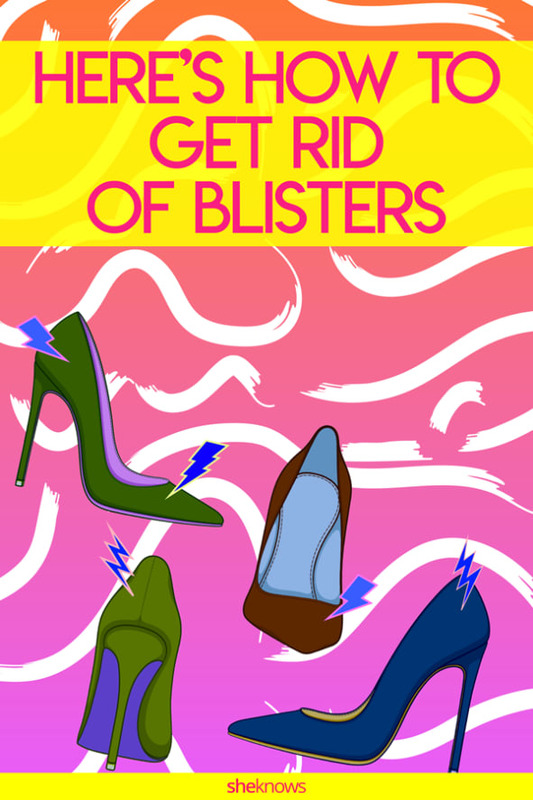 Sutera says slicking on products such as a thin layer of anti-blister balm, like Band-Aid Friction Block Stick or petroleum jelly on your heels and toes can also help prevent your favorite shoes from rubbing you the wrong way. There's also moleskin — the thin but sturdy cotton fabric favored by hikers. “Anticipate problem areas and wear a piece of moleskin on them under your socks before you give your shoes a chance to rub and create a blister or callus,” says Shainhouse. If you have a blister, there’s a good chance you want to get rid of it, and fast. While it may seem harmless to pop it and move on, board-certified dermatologist Dr. Janet Prystowsky tells SheKnows this is not the way to go. “Your skin is a natural barrier to bacteria and other infectious agents, and many times, when you have a blister, you don’t have immediate access to sterile first-aid supplies,” she explains. So, if you try to pop your blister with any sharp object, you lose that natural barrier. Instead, Prystowsky says to cover your blister with antibiotic ointment and a bandage. “If it pops on its own, the bandage will absorb the fluid, and the antibiotic ointment will help decrease the risk of infection,” she says. More: What Are the Health Benefits of Epsom Salts? If you can avoid popping your blister, it’s best just to leave it alone and reduce activity until you have time to heal. Unfortunately, that’s not an option for many people. “A blister on your heel may impact your ability to work, so I recommend visiting a clinic to have your blister drained professionally,” Prystowsky says. Your doctor can perform a simple in-office procedure to drain your blister. While you’re waiting to see your physician, make sure to keep the area clean by washing it with soap and soaking your foot in warm water mixed with Epsom salt. You can follow this up with a thin layer of topical antibiotic ointment. And ideally, by using some of these tips for preventing blisters, you won't have to deal with them in the future.